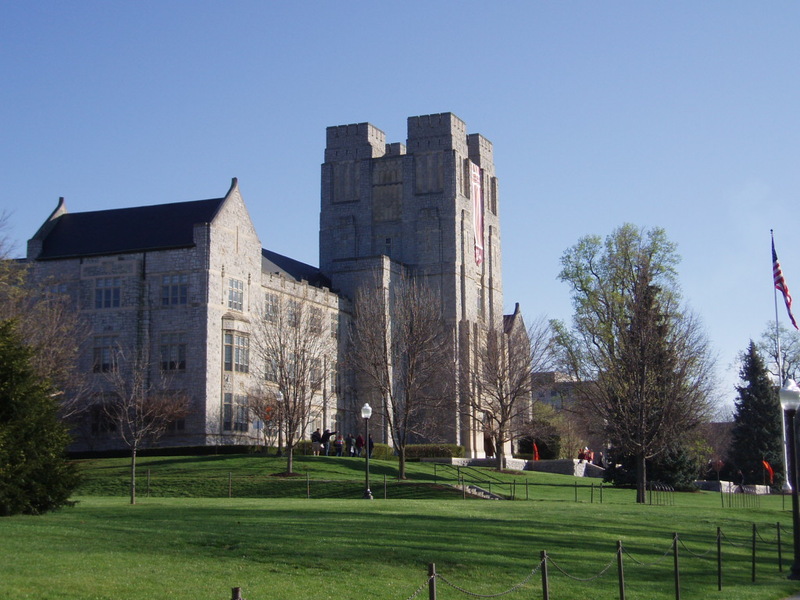 I grew up in Blacksburg, Va.
My dad was a graduate of Va. Tech and the first 18 years of my life (except ages 2-4) were spent in this town. I drove by this scene above virtually every day for a dozen years. The town and campus is an incredibly beautiful, bucolic area nestled in the Blue Ridge Mountains of western Virginia. It is, from all outward appearances, a most unlikely setting for the horrors of the past 24 hours. To see scenes of places that I know like the back of my hand plastered all over national T.V. because of this killing spree has been nothing less than jarring. It is surreal to see Peter Jennings against a backdrop that includes the road that goes to my parent’s home. What an awful, poignant reminder of the reality of evil in a fallen world. It is sadly and admittedly easy to become jaded by such when it’s in Iraq or Dafur. But when such evil emerges in a setting such as Blacksburg, it shatters any illusion that security is possible in our troubled world or that safety is geographically determined. May God grant his peace and his presence to those who mourn. May his people be conduits of his love and compassion in the midst of such awful events. 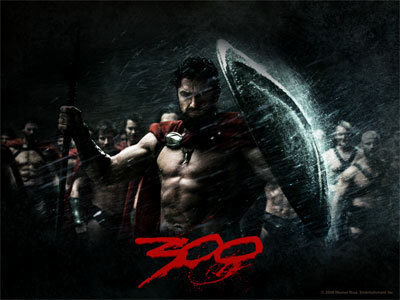 Saw the movie 300 recently …dark, bloody and violent as well as historically inaccurate. But there was one leadership lesson that it vividly illustrates: Victory is never won by the multitudes. It is only ensured by the few. In 1739, Charles Wesley penned these now famous words for use in the first worship service at the Wesleyan Chapel in London. The chapel, on the site of a former iron foundry, became known as the Foundry Meeting House. This hymn has grown to be one of the most popular Easter songs in the English language. Lo! the Sun’s eclipse is over, Lo! He sets in blood no more. Vain the stone, the watch, the seal, Christ hath burst the gates of hell. Death in vain forbids His rise, Christ hath opened paradise. Lives again our glorious King, where, O death, is now thy sting? Once He died our souls to save, where thy victory, O grave? Soar we now where Christ hath led, following our exalted Head. Made like Him, like Him we rise, ours the cross, the grave, the skies. Hail, the Lord of earth and Heaven, praise to Thee by both be given. Thee we greet triumphant now, hail, the resurrection, thou. King of glory, Soul of bliss, everlasting life is this. Thee to know, Thy power to prove, thus to sing and thus to love. Hymns of praise then let us sing, unto Christ, our heavenly King. Who endured the cross and grave, sinners to redeem and save. But the pains that He endured, our salvation have procured. Now above the sky He’s King, where the angels ever sing. 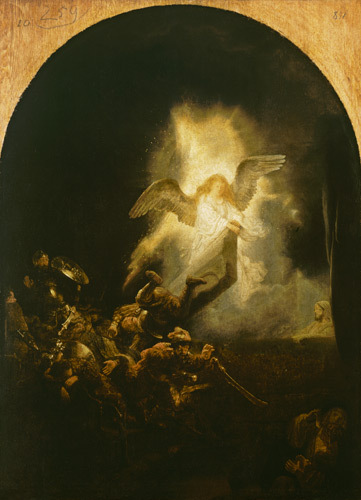 *Image if of Rembrandt’s famous Resurrection of Christ. I was supposed to be on a British Airways flight this afternoon on the way to the UK and then to the Middle East. Instead, I’m flat on my back in bed suffering from a severe case of vertigo. I can’t stand. And even taking a few steps results in awful nausea and throwing up. 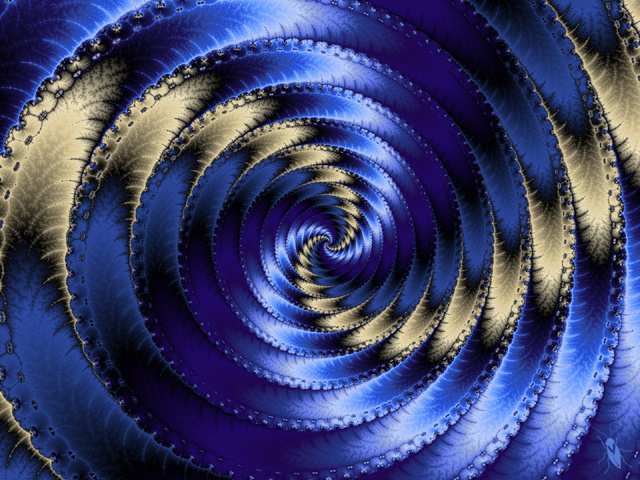 When I move, the room spins. It’s like being seasick. The only complete relief is keeping my eyes shut and lying prone. I’ve never had anything like this before. This is day four and it’s been ugly. So what do you think about when in such a posture? Nobody is indispensable. I can cancel all the things on my schedule and have confidence that others can do whatever I miss and in some cases probably do them better. Such weakness creates some interesting empathy for those who likewise suffer. Can’t imagine what it must be like for those going through chemo or who are bedridden for one reason or another. It has meant much to have so many friends call, write, email or stop by and pray. Such acts of kindness go a long way. I need to remember this when well. Instead of groveling in my discomfort, how can I redeem such “down time.” Perhaps using it to pray and enjoy the undistracted presence of Jesus? I am an abysmal patient. While I may not die, if this lasts too long, my wife will kill me to put herself out of the misery of caring for such a grump. Even her gift of mercy has limits!